third (tentatively self titled) solo album in stores April, 2007. David Hogan (Sheryl Crow, Rod Stewart, Elton John) to follow in January. Cookie Rankin, Fats Kaplin, Jonathan Yudkin, John Whynot, Sam Bacco, and Gary Craig. south of the border with his peers in Nashville. opened for the likes of Keith Urban, John Prine and Great Big Sea on their national tours. Barber, Ima, Michael Kaeshammer, Pascale Picard and Amanda Martinez. 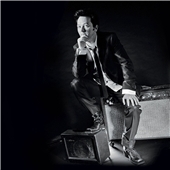 of Canadian music," said Jimmy Rankin, one of the program's feature artists. can prove they can still bring down the coffee house." emerging and established Canadian singer-songwriters. talented Canadian musicians and close friends." Second Cup Café Music Series to apply via e-mail to music@secondcup.com. nationally as well as internationally." intimate venue from which it emerged - the coffee house. TORONTO, ONTARIO--(Marketwire - Aug. 23, 2007) - CCMA Awards producers continue to announce performers for this year's show, to be held September 10 at Regina's Brandt Centre and broadcast on CBC Television that night. Hosted by Paul Brandt, the show lineup now includes multi-nominated group Doc Walker, SOCAN Songwriter of the Year nominee Jim Cuddy, and multi nominee and Saskatchewan native Brad Johner. Also confirmed is perennial CCMA awards winner Carolyn Dawn Johnson in a special performance with celebrated East Coast artist Jimmy Rankin. Producers are also promising special guests, drawing from Canada's most-acclaimed and current entertainment personalities - with renovation guru Mike Holmes first to be announced. The show will feature a "super-group" of Canada's top musicians to showcase the best-loved country songs from the past year. Led by award winning music producer Tom McKillip, the band of acclaimed session players, will anchor live performances throughout the night. Performers for the CCMA Awards show will continue to be announced up until September 10, and today's announcement is in addition to already confirmed stars: Paul Brandt, Emerson Drive, George Canyon, and Shane Yellowbird. The remaining tickets for this year's CCMA awards show are available through www.ticketmaster.ca or by calling toll free to 1-800-970-7328 or 306-543-7800. Like any painter worth his salt, Jimmy Rankin knows how to make a lasting impression. Except that, as a man who has won four SOCAN-sponsored ECMA-and-Juno Songwriter Of The Year Awards for the chart-topping "Fare Thee Well Love," "You Feel The Same Way Too," "Followed Her Around" and "Midnight Angel," his canvas isn't restricted to an easel and a few tubes of paint. It's framed by experience -- and depending on how the Cape Breton native channels his idea -- a masterstroke of an alt. country, adult-contemporary or rock-flavoured arrangement depicting his life, emotions and observations with resonating finesse. Just hand him a guitar -- preferably an acoustic Gibson; give him a little think-time and watch Jimmy -- no, hear him -- weave some aural magic. "To me, writing a song is almost like creating a painting," notes Jimmy, who offers 13 picture-perfect portraits of sonic splendour on his new, self-titled album, Jimmy Rankin. "You build it and colour it until all of the images blend together as one complete portrait that tells some kind of story." Whether it's the potent roots-scented shuffle of "Stranded;" the guilt-tinged poignancy of the album's first single, "Slipping Away;" the urgent fiddle-driven desperation of "Got To Leave Louisiana;" the romantic resignation of "Hopeless" or the euphoric optimism of "When I Rise," the musical tales woven on Colin Linden-produced Jimmy Rankin are borne from the days he's spent living, traveling and soaking in the planet since the release of 2003's Handmade. "Over the past three years I've taken a lot of my inspiration from the world I see around me," says Jimmy, who recorded the album in Nashville at the Rendering Plant and at Pinhead Recorders in Toronto during a busy year that also included a World Vision trip to Nicaragua and a recording reunion of The Rankins. "Some of my songs are autobiographical. While others, although written in the first person, are about a story or something I heard. I do a lot of touring, traveling and reading and I think my songs reflect that. I'm always on the lookout for a good story and definitely tune into other peoples' experience in the world." And for the first time, Jimmy is also enlisting a generous portion of observation from outside his own perspective: half the songs on Jimmy Rankin involve an impressive list of collaborators ranging from Gordie Sampson and Tom Wilson to Jon Randall and Craig Northey. "Essentially I wanted to work with other people," Jimmy explains, noting that his first two albums, 2001's song dog and Handmade, were predominantly solitary songwriting efforts. "I've done some co-writing in my career, but never to the extent that I have for this album. It's nice to be able to bounce ideas around, pick someone else's brain and see what sticks. When you work with other writers, you learn tricks of the trade." 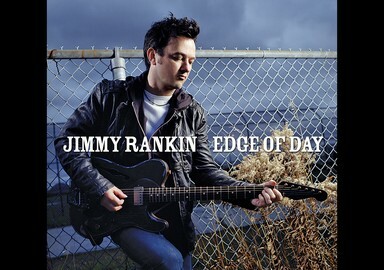 Jimmy Rankin is a contrast from its predecessors in other ways as well. "It's less harmony-driven," explains Jimmy. "There's mostly two-part on this record, which is just a different style for me. It's also a lot looser and a lot rougher than my other records." The loss of some of that varnish can be attributed to producer Linden's approach of live studio takes; employing crackerjack musicians such as keyboardist Richard Bell, percussionist Sam Bacco and Willie Nelson harmonica player Mickey Raphael -- as well as the noted guitarist producer himself -- and anchoring them around two solid rhythm sections: Toronto drummer Gary Craig and John Prine bassist David Jacques, and Mississippi -based Buddy Miller stick-handler Bryan Owings and Bruce Springsteen bassist Garry Tallent. "I like Colin's approach to recording," says Jimmy. "This album feels more comfortable and natural to me in the way that it's very much a live recording and band vibe. I've tried to capture that essence on the other records, but this one's the most organic." Jimmy says playing with such a stellar group of musicians raised his own lofty standards of performance. 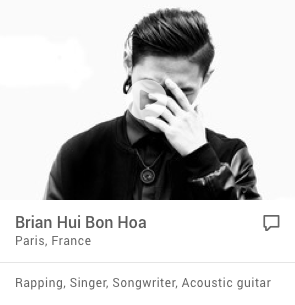 "I play an acoustic guitar and I kind of drive the band and set the tempo and the energy of the song," he explains. "Playing with great players just ups the performance ante and enhances everything sonically. I like the idea of collaborating with musicians and really letting them shine." Most important, perhaps, within the pensively reflective strains of "501 Queen;" the reassuring romanticism of' "Shot In The Dark," and the restless realization behind "Drifting Too Far From Shore," is the notion of just how far Jimmy has progressed as a songwriter. While adult contemporary and country radio stations all over Canada have readily embraced such memorable hits as "Followed Her Around," "Butterfly," "California Dreamer" and "Morning Bound Train," the truth is that Jimmy Rankin didn't choose songwriting as an eventual career path -- it chose him.